Relax on NZ's safest beach during the day, walk over the road and shower off outside to enjoy a cold one while watching the ocean and the world go by. Wander down to the beach for the sunset. Please note: Sky TV is available excluding sports channels. Start with a fresh oyster entree from Ohiwa Oyster Farm( when in season, 5 minutes drive over the hill), bbq at home or choose from local eateries Chez Louis' French pizzeria, or the newly opened Cadera (Mexican). Or you can enjoy good ol' kiwi favourites, fish and chips on the beach. Whakatane is 15 minutes over the hill for a bigger selection of eateries. We have one, 1 bedroom downstairs unit which was freshly renovated in October 2016. Ideal for a couple, or for a small family, it is private and has seperate entry to the main house. There is double off street parking in front of the unit. Outdoor bbq and table setting with lawn area. There is plenty to do in Ohope including a day trip to NZ's most active volcano, White Island. Enjoy coastal walks, Awakeri Hotpools, a round of golf at Ohope International Golf Club (5mins) and fresh berry ice creams at Julian's Berry farm (20mins). Come and relax at this beautiful location and fall asleep to the sound of the waves. Bond Terms: A bond of $150 is required up front and will be returned within 24 hours of final satisfactory inspection of the property. 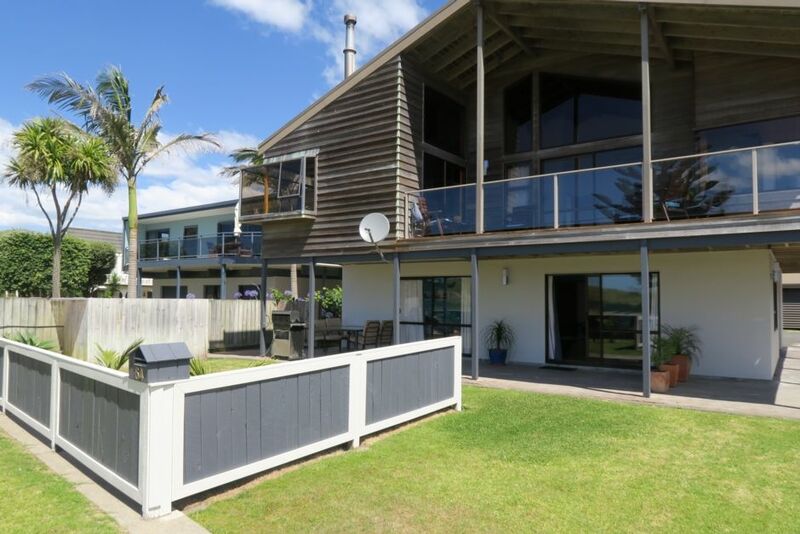 This property is well located just across the road from a lovely beach. Plenty of room for two people very clean and tidy with all the things in it you need although only microwave cooking which didn't bother us as there are plenty of nice places to eat around there. Lovely peaceful location. We had everything we needed. Clean and well maintained. Hosts were very friendly. Spotless, modern and comfortable accommodation. Pefectly located across the road from an access path to the beach. The accommodation is tidy and has everything you need (note cooking facilities are a microwave oven and barbeque). Highly recommend for couple or small family. This property is right across from the beach which we loved. Very quiet street. Facilities were great. Very comfortable bed, great shower, comfortable living area. I suggest taking a toastie maker/sandwich press or similar as cooking limited to microwave and barbeque. Lynda and Peter were lovely and they were willing to help in any way. Will have a sandwich toaster for your next visit! !